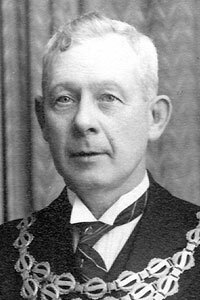 Son of William Job Slater, Chairman of Horwich Urban District Council 1920-21. He worked for his father as a young man, erecting many public buildings, including the County Branch library, the Maternity and Child Welfare Centre and the Employment Exchange. Member of the Builders Association on the Horwich Chamber of Trade and was Chairman twice. He was a keen fly fisherman and enjoyed a day's hunting. He was also known as a student of natural history. Founder member of Horwich Rotary Club. 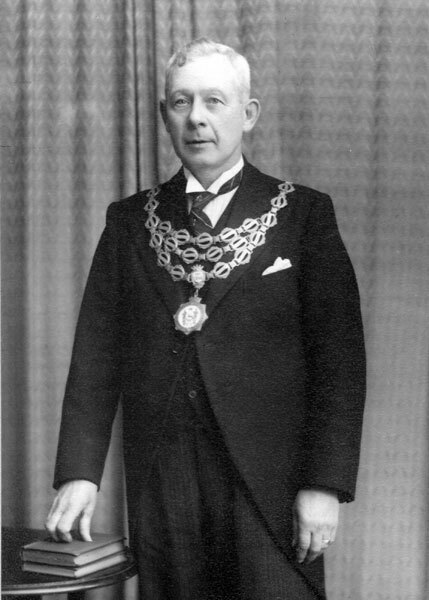 Formal portrait of Joseph Wiliam Slater as Chairman of Horwich UDC.